The soft, nylon bristles are anti-static and protect your furniture, while adjustable wings allow for improved cleaning of upholstery. 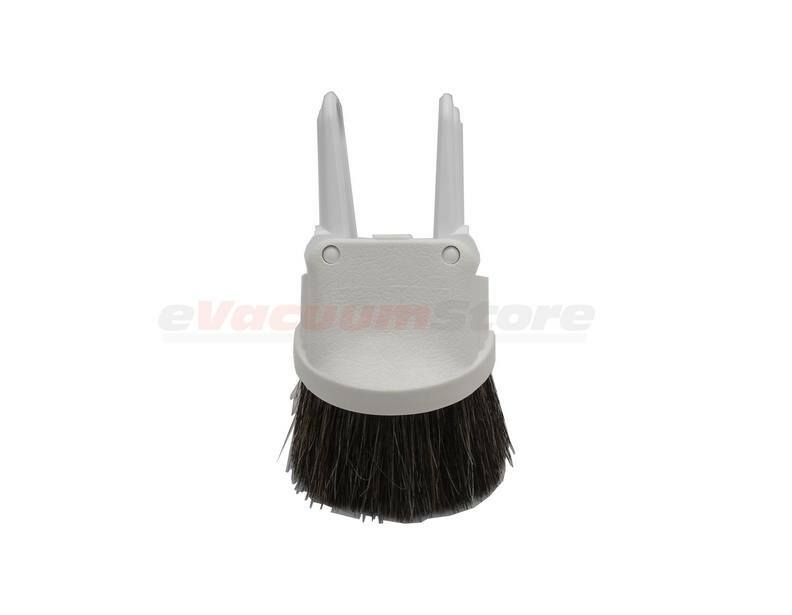 Dusting brush end comes with a non marking bumper for save cleaning on all surfaces. The Upholstery tool can be used by inserting the wand end into the dusting brush directly and flipping open the upholstery wings. This vacuum attachment works with an Electrolux metal wand or a plastic wand. This brush is better than most, but not as good as the original brush sold with my Electrolux. It is new, so I hope it will stop shedding. Mine arrived 2 days ago. So far so good. I like it, works great. Mine was black not white as pictured. This dusting tool is a universal replacement style of moderately less quality than the equivalent original part sold with Electrolux 1590 central vacuum units. it functions well and is a good value at the eVacuumStore price. Answer:Yes, this will fit the EL4101A. Answer:It will not fit onto the Guardian Ultra Wand unless you have the 1.25" dusting brush adapter. Call us 866-972-8227 with any questions. Answer:The busting brush and furniture combination tool is compatible with the Regency 1000. Answer:The Electrolux Dusting Brush Adapter will make this dusting brush compatible with the Epic 8000.